How do Syriza's origins and Greece's political economy affect its capacity to govern? This week, in the latest object of controversy in the ongoing battle between Greece’s Syriza government and the country’s European creditors, debt payments are due to the International Monetary Fund and the European Central Bank. The extraordinary, ongoing pressure Syriza is facing has spurred intense debates about the limits and possibilities of left governments faced with such weighty choices. In the first of a series of interviews that Catarina Príncipe and George Souvlis are conducting in Athens, Jacobin sat down with Michalis Nikolakakis, political adviser to the minister of economy, infrastructure, maritime affairs and tourism. Before joining Syriza, Nikolakakis was also active in the youth wing of Synaspismos. Here he discusses the origins of the Greek crisis, the relationship between Syriza and the state, and what accounts for the rise of the radical left in Greece. We would like to start from the beginning and ask you, what is actually the origin of the Greek crisis? That’s a long story, but if we have to begin from somewhere it would be out of the neoliberal policies from the nineties. During the nineties you have the liberalization of the banking system, which is not confined to Greece, of course, and at the same time you have major infrastructural projects in Greece, and a continuation of policies regarding, for example, military expenditure. So what is happening is what in theory we know as a gap between the increase of consumption and the increase of spending on behalf of the state, and on the other hand a reduction or stabilization of actual wage levels and actual income. In this sense, I don’t think that the Greek crisis has something exceptional about it. What is exceptional about the Greek case, related with other cases, for example the Spanish or the Italian case, is how the instability of the political system creates the opportunity for the system to go bust and for global credit institutions as a non-reliable debtor country. So in different countries we have different models: in Spain we have an increase in indebtness of the households more than the state, in other countries more the state than the households; but the storyline is similar in most European cases, and this is why we cannot see in isolation what is happening in Greece with what is happening in the entire eurozone. How would you describe the changes in the Greek productive sector in the last decades? During the years of plentitude, the nineties and the 2000s, Greece has a specialization in very specific sectors of the economy, with a huge growth and international expansion in those sectors. The Greek economy multiplies its presence for example in the Balkans and in the Middle East, but it has very specialized areas or sectors in which this growth is focused upon: shipping (which is traditionally the spearhead of Greek economy), tourism, and the construction sector. All this is complimented by an immense growth of the Greek banking sector and some other telecommunication and high-tech companies that, through the growth of the banking sector, establish their presence, for example, in the Balkans. So, the idea that Greece somehow is a weak state, or a failed state, is inherently wrong because Greece is following a path that is being followed around Europe and, of course, the specialization in specific sectors relates with the specific structure that the eurozone has. Following the idea of specialization within the eurozone, is it true that Greece has been developing into a peripheral economy and, if so, how? I think the story that Greece is a peripheral economy because its industrial capacity decreased due to its introduction into the eurozone is only partially true. Greece has never been fully industrialized, and this is the story of Greece since World War II: it’s a story of failed experiments, initially through the Marshall Plan, to industrialize. That means that while the specific position Greece has in the global division of labor can be partly blamed on the eurozone, that’s not the whole story. The introduction of the eurozone did actually weakened those manufacturing sectors of the Greek economy that blossomed during the eighties, such as the textile industry, which is completely diminished, or other industries that after the fall of the Communism “emigrated” to the Balkans. You mentioned before the structure of the Greek state. The relationship between the state and the political system — mainly Pasok — has been one of clientelism for many decades. How did this come to be, and how does Syriza intend to restructure these relations? Obviously, the Greek political system has been stabilized through a vast reproduction of relations of clientelism by the two major political parties. Those, however, could have not been established in an economic environment like the one of today. So, one reason why Syriza is not Pasok is because it is impossible: it is impossible to create a form of social equilibrium just by recreating new forms of clientelism. There is nothing to pay them with. A second thing that is very objective and not ideological is that Syriza was and is a small party. So, even if we wanted to occupy the state, we couldn’t because there are not enough of us. A lot of the misunderstandings in the choices of people (and I’m not saying that they were all the best) have to do with the fact that Syriza was not a party with as strong of roots in society as Pasok. There are not enough people to fulfill the needs of the state just by picking up “our” people. So, necessarily, Syriza must reach over itself and over its small party limits in order to be able to fulfill different functions inside the state. This is of course an open procedure. And the most important thing is what happened in the state during the years of the memorandums. During the memorandum years, state employees have seen a reduction that sometimes exceeds 50 percent of their salary, and this in a way completely shattered those relations of clientelism. And not only that: the way in which the memorandum’s reforms were being introduced were through very insulting and unethical processes in which every public employee was potentially “guilty” for something. That’s the reason why even rational reforms that were being introduced during the memorandum years could never be realized, because they were just boxes that should be ticked, laws that should be voted on, but not institutions that should be established, and not people that do their work in the state in a different way. The only reforms that were actually realized were the ones where a new institution did not need to be established: whipping out labor legislation or reducing the wages. So, another reason why I think Syriza has an opportunity to establish a new form of relation between the state and itself is that the state and public employees, being pressured for all these years, being considered guilty for some sin that Greece had, actually have lost all motivation — but are today very motivated to support any policy that is introduced for the common good. This was established in a violent way, and not because of us — a new mentality or consciousness regarding who they are and what role they can play, instead of looking at their job as just a privileged one. We know now that this is not true. Public employees can actually lose their jobs. You stated that Syriza is a small party that — even if it wanted to — does not have the objective capacity to fully occupy the state. So how did such a “small party” win the elections, where does this strength come from, and what are the actual political dynamics behind the growth of the radical left in Greece? The question of Syriza and the dynamic of Syriza is a controversial one, exactly because the memorandum policies have pressured various different social strata that saw a way to represent their interests through Syriza. So, there are a lot of contradictions there. However, Syriza is here and it is what it is through a process that can be analyzed in two distinct ways: one is the relation that Syriza established with the anti-globalization movement in the beginning of the 2000s, because this relation changes the narrative of its inheritance. Synaspismos was a party with a weak Eurocommunist agenda with nice ideas but not a political spearhead, some good socialists who were alienated from Pasok, and some ex-communists disappointed by the fall of the Soviet Union. The moment of the anti-globalization movements created a new unity and an identity. And this created a new way of doing politics for more than ten years that, although Synaspismos and then Syriza were small parties, gave a direction to what Syriza was and represented. Syriza being an ultra pro-movement party means that Syriza has relations with the movement: it wasn’t the movement. This changed in practice the way activists thought of their relation with the movement: Syriza always related to the movement but kept its independence in both ways: from the party to the movement and from the movement to the party. This is the first thing that established Syriza as a unique political phenomena in Greek politics. The second thing that happened is that, leaning on those political practices while at the same time having a stronghold inside Greek universities and academia, once the memorandums start to be applied — which is a big shock for the society — Syriza manages to have a different narrative about what was happening. And the fact that it was able to create a different narrative about what was happening to us, this sort of “collective guilt” that was taking over society, actually gives rise to Syriza, gives a lot of momentum to Syriza, together of course with the political practices of being in the movements. And lastly, where the leadership part comes into play is that three years ago the leadership of Syriza was able to say, “I’m not here to do a movement only,” “I’m not here to do counter-politics only or be in minority positions,” but offers itself to the people as a project able to take up power. And this is a momentum thing in a way, because the signs of the collapse of the political system are very visible, and at that point Syriza (and this has to do with its leadership) says that we are here to take up power. And this leads us to where we are today. When you say that there was a momentum when Syriza said it could take power, what is that momentum? How would you describe it? The violence of the program that was applied created an alienation from the political system that is very obvious, concrete, and that everybody can sense. So after the 2012 elections everything changes in a way, because the idea of taking up power stops being only the leadership’s vision and becomes a project of different people that start to participate in the different departments of the party, as they try with more or less success to create a program for a possible government. Our last question is about the role of ideology in what concerns the intransigent position that the European elites, and in particular Germany, have taken during the negotiations with the Greek government. It seems that there is an incapacity of the European elites to even imagine a different paradigm or alternative for Europe than the one they have been trying to force upon southern European countries. It is ideology, but it is also a political paradigm that has very clear intentions. Obviously, the specific technocrat that is pushing forward specific policies is not always in a position to even comprehend politics as a constant state of balance that maybe the leadership can. But those policies as paradigm do have an effect and an intentionality regarding the global economy. They all favor the mobility of capital, especially in a time and a place where the mobility of capital is intensified by the banking sector and the expansion of the banking sector, and they all affect the lack of mobility of labor. They intensify the lack of mobility of labor, the lack of choice of labor. In that sense, the intention is always clear. But of course this is a political choice. If I am to theorize about this, I can say that it is possible to introduce forms of rationality in the public administration which serve their purpose as well. We can also introduce forms of speeding up the circulation of capital in such a way that it does not affect the environment or labor. But we cannot accept forms of deregulation of labor or more pressure on labor or an idea that somehow the way forward for the private economy is by reducing all regulations. But the way the European elites are dealing with the negations seems almost irrational, as these policies will not only affect Greece but Europe as a whole. I agree with that. That is why we can say that our allies and us are the most pro-European parties at this moment. Because we are the only ones who are putting on the table the fact that without European solidarity, economic and social between the different countries, the European project is impossible. Michalis Nikolakakis is a political adviser to the Greek minister of economy, infrastructure, maritime affairs, and tourism. 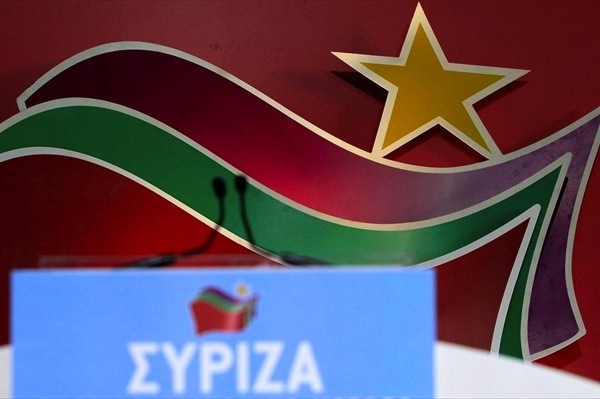 How do Syriza’s origins and Greece’s political economy affect its capacity to govern?